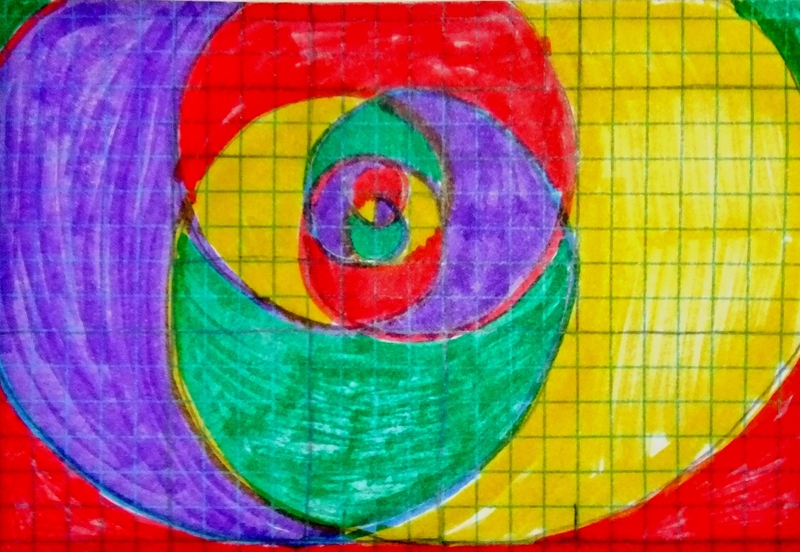 This nested spirals are red and yellow, respectively. Can you see the blue spiral? It makes an eye that looks back at you.